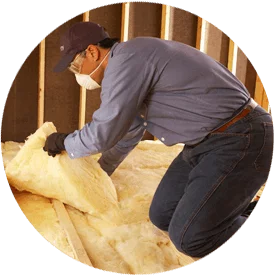 If you need a batt insulation company in Boise, Idaho or a surrounding area, Big City Insulation of Idaho can help. We work with homeowners and builders/contractors to install fiberglass batt insulation in both new and existing homes. Batt insulation comes in pre-cut panels and is typically made of fiberglass. It’s one of the most common forms of insulation available. Batts can be installed in various areas, such as the attic and walls. If you’re in the Boise area, Big City Insulation of Idaho is a good name to know! We have experience installing batts in both existing homes and new homes being constructed, and our professionals use quality fiberglass insulation from the industry’s leading manufacturers.